I typically describe my calling as “teacher of last resort.” Frequently I only teach because everyone else said no. 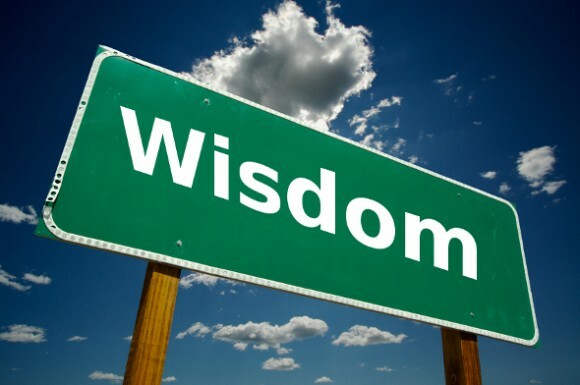 Shouldn’t accumulating wisdom merit the occasional “first call”? Not that my paltry understanding even approaches the wisdom given to Solomon, but 1 Kings tells us Solomon’s wisdom was so renowned people from all over the world flocked to him. Solomon had real wisdom to offer a broken world. Yet, he failed to learn the most important lesson: Solomon valued the gift of wisdom more than the Giver of the gift. Solomon’s wisdom became legendary, but shouldn’t the God who granted such wisdom have become legendary? Solomon neglected to dispense the source of his wisdom with the wisdom itself. Solomon valued the gift of wisdom more than the Giver of the gift. Wisdom is only a renewal resource when we know the Source. The students who applied Solomon’s wisdom to their problems would not know how to solve the next problem — unless they also knew the God behind that wisdom. In our zeal to offer charity, kindness, and mercy to the down-trodden, we sometimes neglect to give the greater gift: the Source of charity, kindness, and mercy. ‘Teacher of last resort” is not so bad — if first resort is pursuing the Giver of wisdom.